DoPPel Kafe, Mezzanine Floor, Central Market Annexe, Jalan Hang Kasturi, Kuala Lumpur, Malaysia. 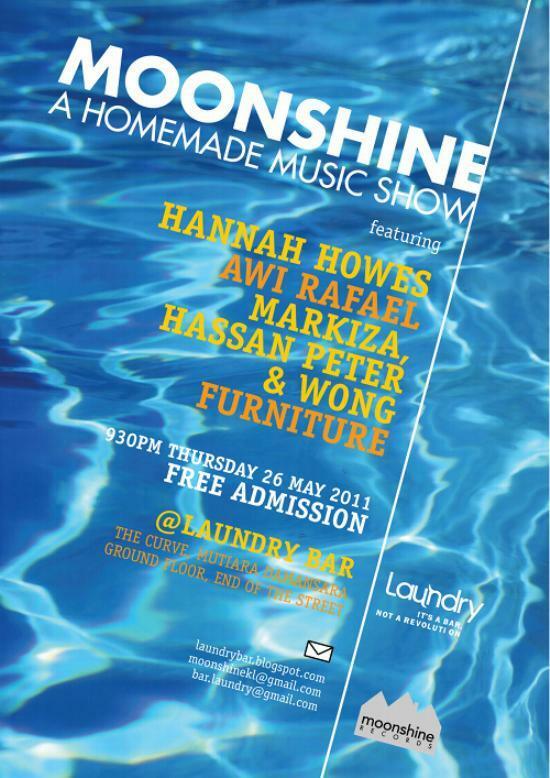 Markiza & Peter Hassan (9.00 pm) and Daymien Nathan, Phlox, Fazz and other acts + OPEN MIC!. Bring your voice and instrument and sign up for 2 songs! From 6.00 pm to 1.00 am (early birds can come early ie 3.00 pm). Where? DoPPel Kafe, Mezzanine Floor, Central Market Annexe, Jalan Hang Kasturi, Kuala Lumpur, Malaysia. Doors open at 3pm for you eager beavers- We'll have hoola hoops and other things to keep you entertained. Then join in the fun from 6pm at the latest arts & music venue in town - DoPPel Kafe to countdown to 2012! Bring your guitars, djembes, keyboards, let's jam! Featuring Markiza & Peter Hassan Brown (9.00pm), Daymien Nathan (7.00pm) and more acts all night. There's an open mic from 6pm onwards! So if you're keen to perform 2 songs, just drop Jaz an SMS 017 623 0288 or email us. We'll cross over to the new year with a different NU beat!! Fireworks compliments from the folks at Dataran Merdeka - view it from our private mezzanine deck in a comfortable environment. 520nm is the wavelength of green light. While most scientists are churning datas and facts to prove that global warming is an urgent problem, Bloc 520 is here to help you relate to M...other Nature. It is an event where blocs of people come to speak up for Mother Nature and share their thoughts and view via music and poetry. Some may come to just have fun and some may tackle global warming in a serious manner but this is essentially an event to celebrate the art of nature & the nature of art. It was a difficult gig at first as Mar's bass (keyboard D5) didn't work, although it had worked fine at the sound check earlier. Something to do with aweak PA system and the sound having been turned up much louder to cope with the noise level - as The Bee was very crowded. An Honest Mistake had played a good acoustic but rocking set. But our set gained momentum and I managed to overcome the drawbacks and distractions of the non-functioning keyboard. We were allowed to play for 45 minutes as one band had dropped out, which really made up for everything, since I always seem to get better as the set goes on, more confident and with greater concentration, so I don't miss words , chords etc. Some people described our set as "awesome" which is very nice to hear. 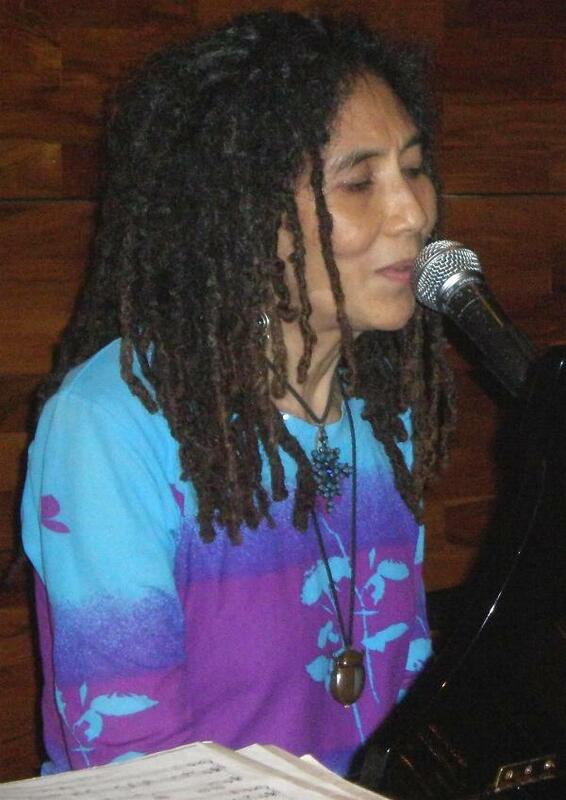 Mar banged the bass out on the piano as best she could, she was her usual skillful and verbally fluent self, in between songs, singing and playing well. Then after us came The Impatient Sisters and they were truly awesome with a borrowed handsome cello player, and they had pretty good sound. Lovely songs, beautiful three part harmony vocals and glockenspeil and kazoo to add a new dimension to acoustic music in Malaysia. FA brings you our Filemorgasmic 5th Anniversary Bash! Come Friday 29th July 2011, FA will be turning a good, rollicking ol' 5 years of age and we would love for you to be part of this special event! Just for you, we will be running an art smorgasbord that you can really sink your teeth into. It starts off with a fresh batch of brilliant and non-curated work from our filmmakers at Annexe Central Market on Friday (29th July 2011) and because a one-night party cannot contain the awesomeness that you people have been to us, we rock on to Saturday 30th July at Mapkl! Your Anniversary experience continues not only with a filmmaking workshop by award winning indie filmmakers and an interactive arts bazaar, we are also bringing you amazing live performances by local (and not-so-local) musicians. Heck, we are even throwing a session of Poetry Slam because you lot have been slammin'! Geddit? Slamming, slammin'? 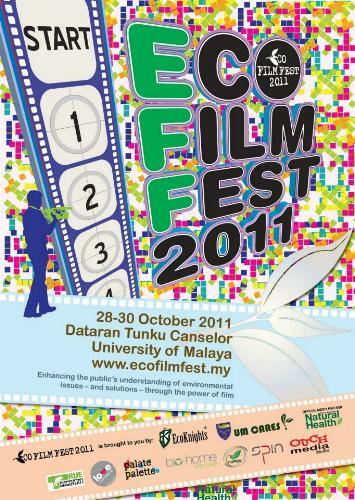 Have a look here to check out our filmmaking workshop. Sometimes awesomeness comes at the cost of space so please remember to sign up if you want to guarantee yourself a spot! Come check out our arts bazaar where you can play giant board games, shop Pasar BazaaA and take part in a (really) free market. Keep yourself free for performances by Azmyl Yunor, Carburetor Dung, Couple, Ciplak, Markiza, Peter Hassan & Wong, Mr Sterile Assembly (NZ), Nao, Self-Conscious Acronym(ed) Man, Reza Salleh and maybe Pete Teo! Not to mention catching July's Poetry Slam featuring reigning champion Jamal Raslan and guest poet Randall Stephens! Oh and if you're interested to Slam... then you need to be looking at this! See your awesome self there! P/S Contact us if you have further questions. True to form, we present you with yet another intriguing array of films. We’ve got animation, romance, comedy, drama. A smorgasbord of visual fascination. 8th JB Arts Festival. 10th July Sunday 5-7 pm. Singer-Songwriter afternoon. (and many other acoustic artists and singer-songwriters: 5-6 pm Chekdet, Justin Wong, Jack Dzull, Fadzly Razman, 6-7 pm AmAli, Daymian Nathan, Azmyl Yunor, Markiza, Peter & Wong). If you are in JB or Singapore this is your chance to see/hear us. 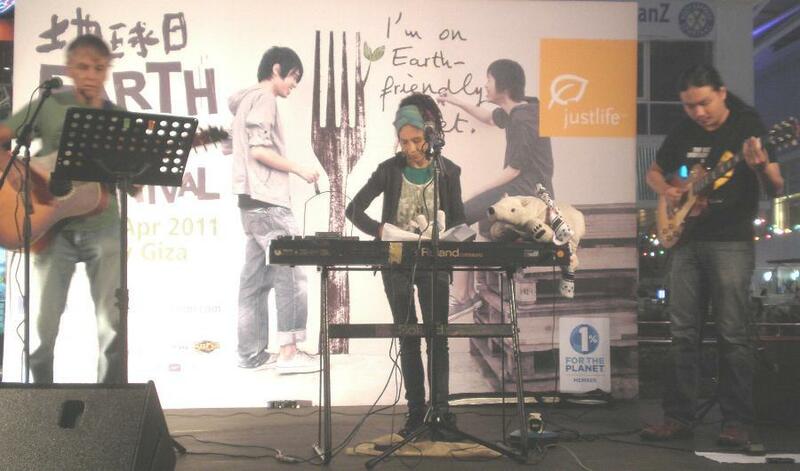 We hardly ever venture out of the Klang Valley to do public performance. <>Green Heroes Unite 2011. 1-12 June 2011Welcome to the Green Heroes Unite campaign 2011. The campaign/event is held in conjunction with the World Environment Day celebrations at Tropicana City Mall, main concourse area. This event is also in partnership with Warner Brothers, in association with the release and premier of Green Lantern the movie. There will be a bazaar-like concept, furnished with exciting and planned activities on and off stage. Markiza, Peter Hassan & Wong will be playing at 7 pm in Artista Restaurant, ground floor on Saturday 11th June along with Eco Drum Circle. For details about about how to win invitations to the Green Lantern Corps Party, log on to www.facebook.com/greenheroesunite or www.tropicanacitymall.com or www.ecoknights.org.my or call 03-77100101. UNHCR World Refugee Day 2011. World refugee Day is coming up again, and we will be commemorating it on 18 and 19 June 2011 (2 pm both days) at the Kl Sentral, in a public event similar to the one we held last year which will feature stalls selling handicraft products, food, traditional and cultural shows by refugee groups, performing artists and lots of fun! Friday, June 17 · 7:30pm - 10:30pm featuring Saraswati Manickam Kam Raslan Brian Gomez Karl Hutchison Uthaya Sankar SB kG Krishnan Sharon Bakar @ Kinokuniya Bookshop, Level 4, Suria KLCC, Central Kuala Lumpur. We need lots of people to turn up for this and be a live TV audience, so please make a date to support all these acoustic musicians who will be performing "Songwriters Round" style in groups of 3. Don't fail to turn up for a brilliant 3 nights in a row, and please support The Actors Studio. Thank you. PLEASE COME TO THIS EVENT - YOU WILL BE ON TV!!!! May Poetry Slam - Bee Aggressive. Saturday, May 7 at 9:00pm - May 8 at 12:00am. Jamal Raslan, Abby Latif, Redza Minhat, Najma Pirani, Thato (Poet's Passport), ANYONE ELSE??! Time to get aggressive poets! The May Poetry Slam is next Saturday. Lighting fast two rounded slam to get your heart racing. Register now if you wanna compete. Last month Sheena took the RM100 first prize but unfortunately is not around for the slam so is unable to feature. She will, however be replaced by someone just as fantastico! Spread the word my good people! It's gonna be bloody amazing so get your asses down to The Bee! Cooking Demo: Chef Ridz: 5.30pm—6.15pm (pending). Chef Ridz is the son of Chef Wan. It's a great start for the year. on a cool happy Sunday.